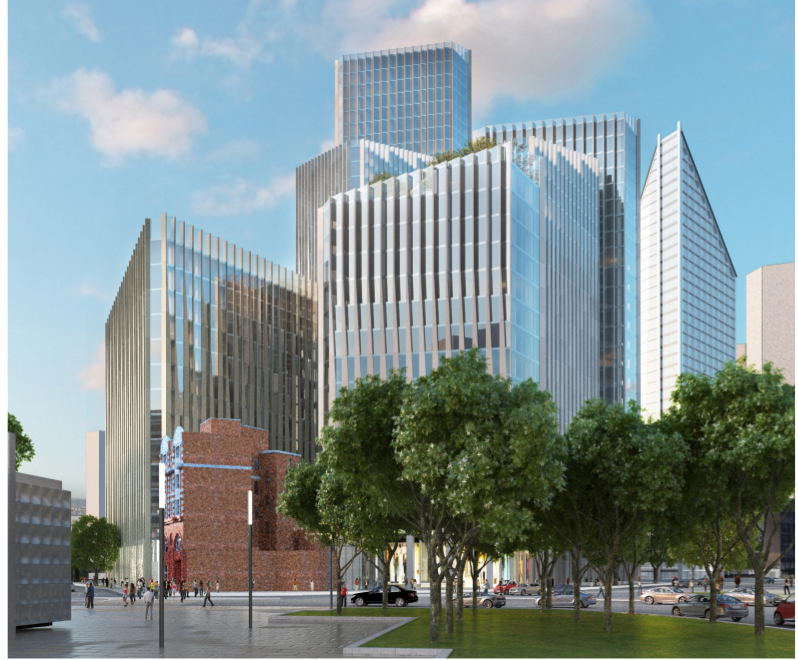 Revised planning documents for the redevelopment of Skipton House have been submitted to Southwark Council. Our previous blog - ‘Another Tower of Shame (with a cinema)’ - detailed how developers L&R were offering zero affordable housing, but proposed throwing in an art house cinema by way of compensation. L&R’s revised application notches up the affordable housing ‘offer’, but only from the non-existent to the pathetic - L&R now propose a miserable 15% of a reduced total of 408 homes. When the Greater London Authority (GLA) was consulted on L&R’s original application, it noted that there was no quantified affordable housing on offer and reminded both Southwark and L&R that ‘the applicant is to prioritise on-site delivery as a first principle’ (GLA Stage 1 referral 29). L&R, though, are not having this; they don’t want their site blemished with affordable housing - it must be either off-site or met by an in-lieu payment. In L&R’s own lofty words, ‘the precise mechanisms for securing this approach, and the agreed quantum of affordable housing continue to be discussed with Southwark Council’; they add that a ‘search has been undertaken to find appropriate sites for off-site provision of affordable housing and this is being discussed with Southwark Council’ (Planning statement addendum 4.39, 4.38). L&R’s pitiful affordable housing offer is justified with the self-serving arguments that we reported in our last blog, chiefly that on-site affordable housing will make the development unviable. They also add for good measure that more affordable homes can be built more cheaply elsewhere. This may well be true, but it ignores the fact that 35% affordable housing has already been established by Southwark’s own viability assessments for the Elephant as viable and is the minimum requirement, not the ‘target’ as L&R claim. So it would logically follow that building it in a cheaper area should get us more than 35%. Why then, are L&R offering just 15%? Off-site affordable housing should provide more, not less. Inevitably L&R have submitted a financial viability assessment (FVA) to substantiate their case. We requested the assessment, but the Council still hasn’t provided either the FVA or its update, despite trumpeting the adoption of a new policy to make FVAs public. We therefore don’t know what the proposed scheme profits are or the critical benchmark value that determines viability. However, L&R emphasise in their application that the current Skipton House is ‘a profitable office asset’ with ‘substantial existing use value’ (Revised affordable housing statement 3.7). So we can conclude that the viability benchmark will be high, making it that much easier to demonstrate an unviable scheme and thus dump affordable housing. It seems incredible that Southwark are willing to entertain a planning application from a rich off-shore connected developer, an application that at first didn’t bother to say how much affordable housing it would build and is now using a criticised ‘cultural offer’ as an excuse to provide as little as possible. The Theatre’s Trust comment shows the obvious way forward. Delancey, the owners and developers of the shopping centre, should be told that the Coronet must be retained and L&R told that they must provide 35% affordable housing on-site and that building a venue a fraction of the Coronet’s size is not an acceptable excuse for not doing so. If this is done then the value of the Elephant as a cultural destination can be maintained and a policy-compliant amount of affordable housing secured. We have set up our online objections form and encourage people to use it to object to this application. All you need to do is enter your name and email address and your objection will be sent straight to Southwark Council. We have entered suggested wording in the box but please feel free to personalise it by amending or adding to it as you see fit.